This Homer Laughlin 7000-0146 3.5 oz. 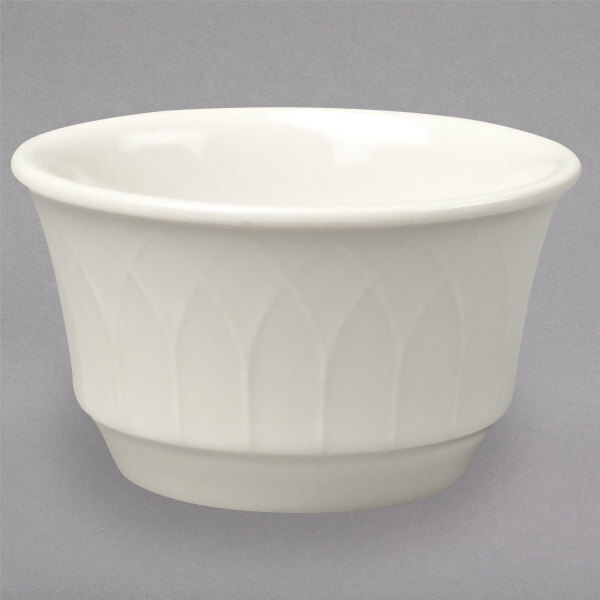 Undecorated Gothic off white ramekin is perfect for filling with sauces, dressings, and whipped butter to complement your most popular appetizers, entrees, sides, and desserts. With intricate lattice sculpting featuring a pointed-arch pattern from the top of its rim to its base, it's perfect for use at your restaurant, hotel, or catered events. Inspired by Medieval European cathedral architecture, Homer Laughlin's Gothic line incorporates lattice sculpturing across their entire line to create a complete and coordinated tabletop presentation to enhance your guests' fine dining experience. With its subtle yet sophisticated design and mirror-like finish, it is sure to intensify your food presentation as well. 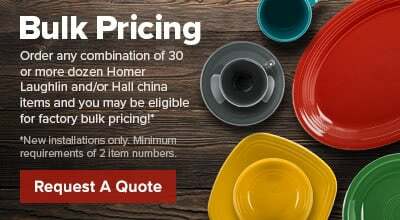 This ramekin is highly durable and abrasion-resistant to provide quality serving for your fine dining establishment. These make decent soup cups. The color stays looking good for a good amount of time. The raised pattern does tend to wear fast so be aware of that when you buy.